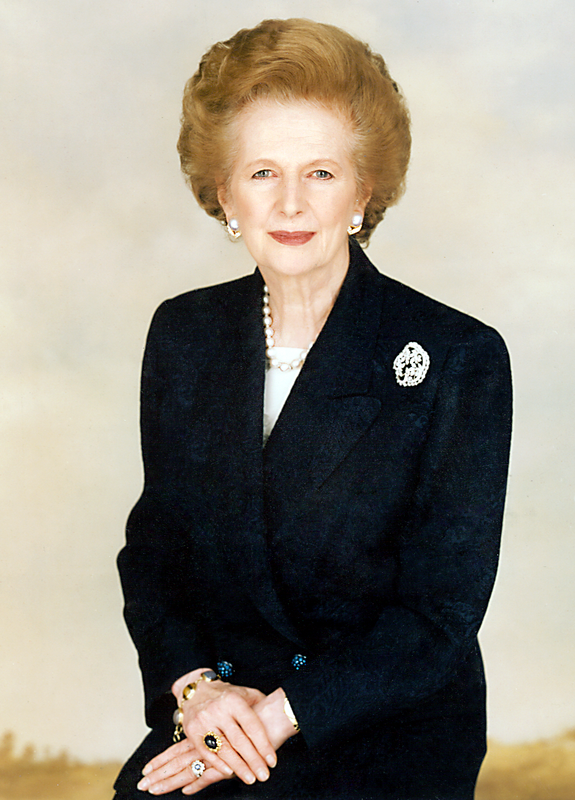 Over here in Blighty (the UK), Margaret Thatcher is an incredibly polarizing figure in British politics, which is why today instead of talking about any of that, I’m going to tell you about a somewhat lesser known facet of the “Iron Lady”. As you may or may not know, the Prime Minister of England resides at number 10 Downing Street in Westminster. While the building isn’t as immediately impressive as say, the White House, it’s deceptively large boasting over 100 rooms (leading to it being nicknamed “The Tardis” by some officials), a museum’s worth of art and state of the art security features including a solid steel, blast-proof door so heavy it takes 8 burly men to lift it. When Margaret Thatcher became Prime Minister in 1979, one of the first things she did was request a breakdown of the amount that was to be spent getting her new official residence cleaned up and ready for her to move in; and she wasn’t happy with the answer she got back. According to official sealed government documents released in 2011, the Iron Lady was shocked when she received a quote explaining that the estimate came to £1,836 (about £9000 or around $14,000 today). In particular, Thatcher couldn’t understand why replacing all of the linen and bedding in the residence was supposed to cost £464 (£2300 or about $3500), especially when she already had “sufficient linen” and noting that, “We use only one bedroom”. But the Iron Lady didn’t let the issue drop there because official documents show that Thatcher not only queried these costs personally, but demanded that the spending on Number 10 be as “economical as possible”. It’s noted that Thatcher went as far as buying her own ironing board when she saw that the quote listed it as costing £19 (nearly £100 or $150 today). The important thing to keep in mind here is that these expenses weren’t actually going to personally cost Thatcher anything, since one of the perks of being leader of an entire country is that the tax payer in many countries foots the bill of maintaining your state home; she just really didn’t like the idea of taxpayer money being unnecessarily wasted. During her time as Prime Minister, Thatcher also refused to draw her full salary and was known for recommending that other ministers do the same. Her father’s mentality of “never wasting a minute” (a favourite saying of his) and not spending money unnecessarily, evidently stuck with Thatcher throughout her adult life, which led to her clashing with her more affluent peers in politics on a number of occasions. For example, Thatcher did most of her work in a single chair in her office; over the years, her heels wore noticeable holes in the carpet, which she refused to have replaced. It was only after her peers implored her to consider how bad the leader of the UK having such a shabby carpet may have looked to other heads of state and officials that she relented and patched the hole with another piece of carpet. An another occasion, the Secretary of State for Wales wrote to Thatcher requesting funds to make a number of “small improvements” to his office that he’d had estimated at costing £26,000. 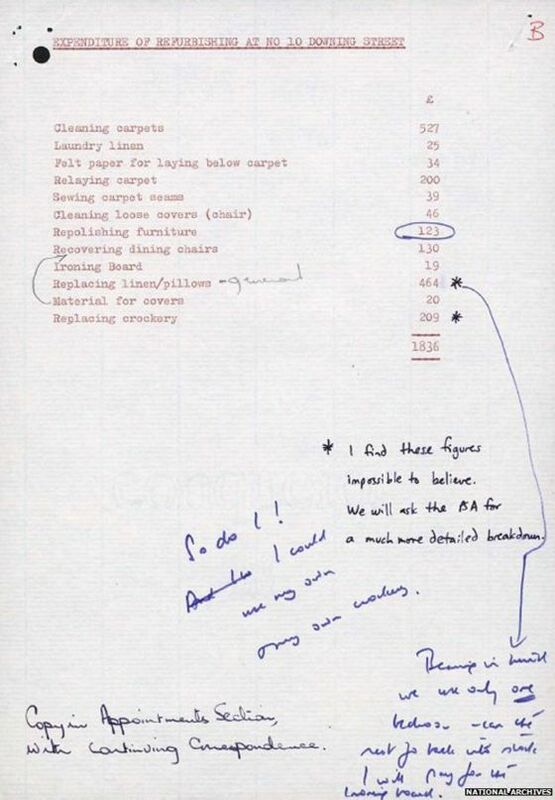 Thatcher sent a back the terse reply, “Get some other estimates.” Thatcher then requested a breakdown of how exactly they arrived at this figure and for some reason, the estimate suddenly went down to £11,000. Perhaps the ultimate example of Thatcher’s frugality came after she stopped being Prime Minister and became worried about what her husband was going to eat when she was away on her many speaking engagements. According to the book, Not for Turning: The Life of Margaret Thatcher, rather than hiring a cook, which she would have been well able to afford, Thatcher genuinely inquired about Meals on Wheels, an organization that offers meal delivery to those who are unable to purchase or make their own meals. She ultimately abandoned the idea when a colleague pointed out that it probably wasn’t appropriate. When she was at home, Thatcher reportedly mostly subsisted on a diet of pre-made frozen food. As Prime Minister, her diet was better, but still remarkably spartan and simple for a head of state, mostly limited to tinned food or re-heated frozen meals made by her cook. Interestingly, one of the few times Thatcher was known to have dropped the cast-iron façade for which she would become synonymous was when a political opponent accused her of being a “food hoarder” (an insult dating back to the time of rationing) when she was just an MP. An angry Thatcher hit back and invited journalists to see her larder for themselves, before releasing a statement listing its contents as well as the savings she’d made buying certain items in bulk. Thatcher was even frugal in death and when she passed away in 2013 she left explicit instructions in her will to forgo some of the usual traditions for the passing of a former Prime Minister such as a military flyover, saving the country an estimated £800,000. As noted, Margaret Thatcher was somewhat affectionately known as the “Iron Lady” by the media for her stoic personality and uncompromising leadership style. The origins of this nickname are attributed to a Soviet military journalist called, Captain Yuri Gavrilov. 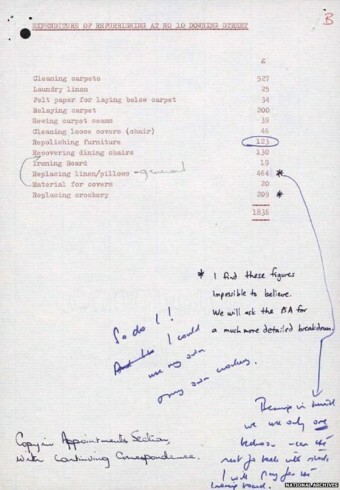 As mentioned, while serving as Prime Minister, Thatcher never actually drew the full salary she was entitled to. This move still saves the country money today as no Prime Minister since Thatcher has accepted their full pay packet. There’s a persistent, oft repeated rumor that Margaret Thatcher somehow involved with the creation of soft serve ice cream. Although she did work briefly for British food giant J. Lyons & Company and was part of a team that developed a technique for whipping air into ice cream as it’s made, which according to the New Yorker “laid the foundation for modern soft-serve“, her involvement wasn’t as big as is often claimed. Dont make me laugh !Margaret Thatcher stopped the free milk for schoolkids,had a lovely house with staff in Chelsea,later a huge place in Belgravia.Her husband Dennis had a net worth of one hundred million pounds.The frugality was just a pose.Then she put her son in on a huge arms deal,Al yamamah, he got one million pounds commission.